Ron Gilad Flos Light Spring Single Wall Light (Color: White) - The Light Spring Single Lamp was designed by Ron Gilad for Flos in Italy. 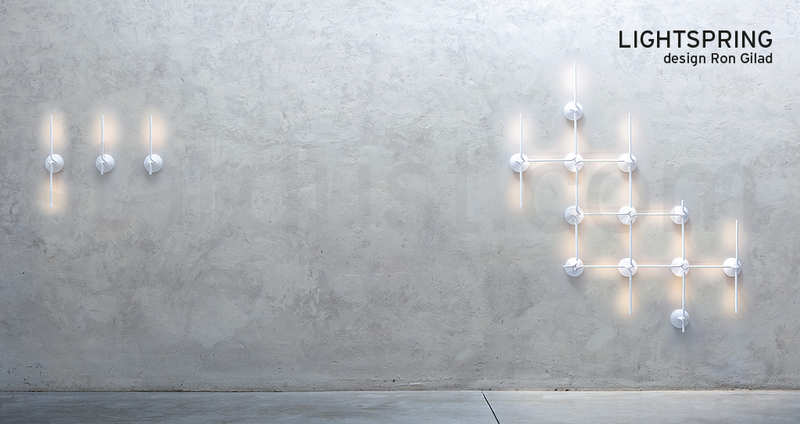 Light Spring is a brilliant new LED wall light that stands out with its super stylish and elegant design. Light Spring is part of a range of wall lights utilizing a timeless and elegant form, integrated with energy efficient LED. Designer Ron Gilad explains that the design of the Light Spring lamps was inspired by the classic candelabra style wall lamps. The linear arm of Light Spring is adjustable, rotating on the horizontal axis to enable directional illumination. Light Spring is ideal for a refined interior decor that combines art and light. This beautiful wall lamp can be used to illuminate hallways, living rooms and bedrooms. 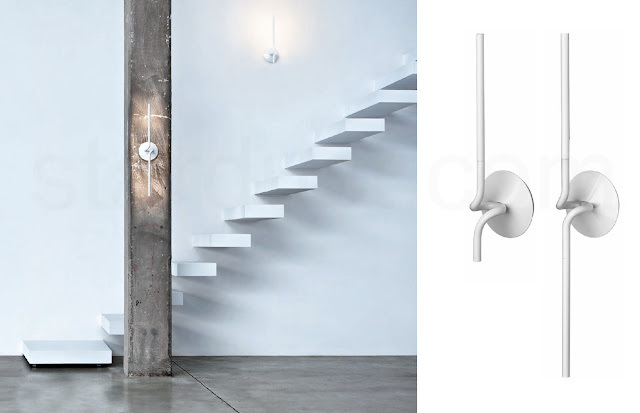 The inventive Light Spring wall lamp with its purist design is already a classic! 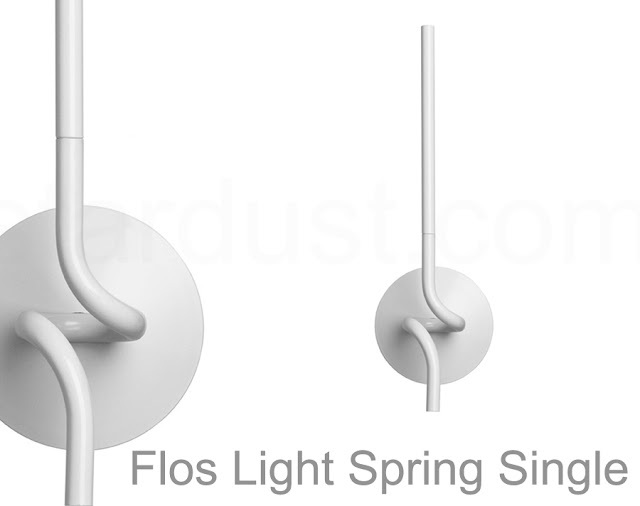 Flos Light Spring received the 'Good Design' award for best new design in the lighting category. Light Spring is a UL listed and ADA compliant wall lamp. Light Spring is a wall mounted light fixtures that provides indirect LED light. Injection molded diffuser in methacrylate with photo-engraved internal finish. The diffuser is fixed to the body by a nickel-plated neodymium magnet. The head is cast aluminium alloy. 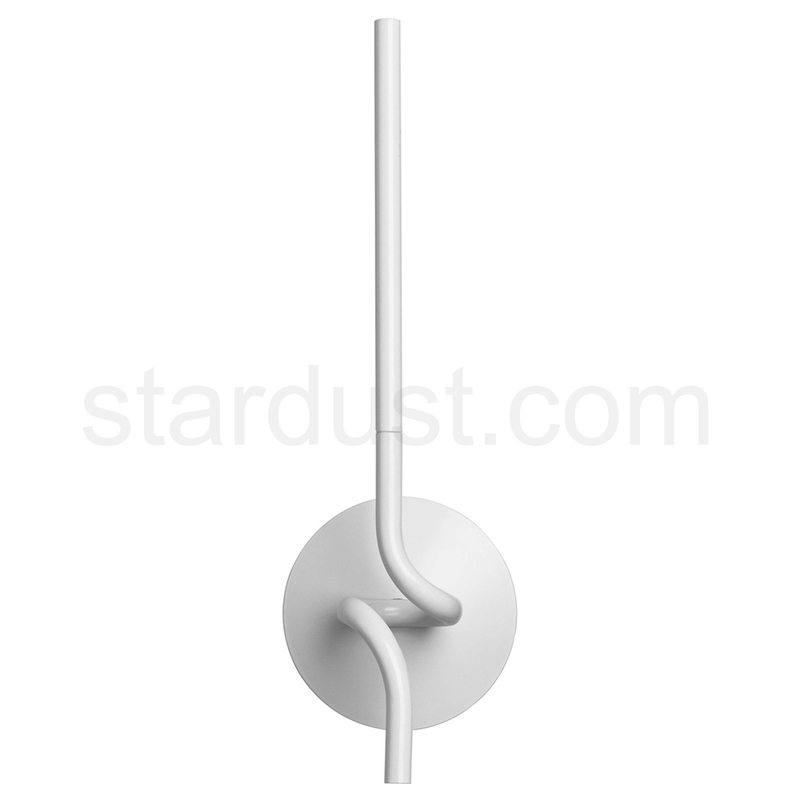 The wall attachment is injection molded in nylon pa 6.6 white 20% fiberglass. The wall plate is made with cast aluminum alloy. 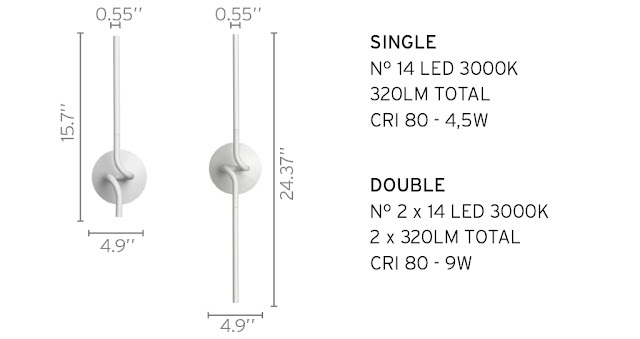 The body of the Light Spring lamp is in extruded calendered aluminum. The feed for the LED lights is cleverly concealed within the wall plate. Each head can be rotated 45 degrees on its vertical axis. The components are finished with spray paint. The paint is water-based and therefore eco-friendly.